Are the kids wanting somewhere to play? Do you need somewhere to relax and enjoy refreshments or food from the snack bar? If so, The Neighborhood powered by Millz House is the place to be! Featuring a full-length basketball court, and multiple play centers, there's no better place for your child to play. Register in The Neighborhood for your chance to win 50% off a floor coating, of at least 400 sq.ft. and up to 800 sq.ft.-this will cover most garage floors. All other floor coatings will be 10% off. Click here for the offical rules. 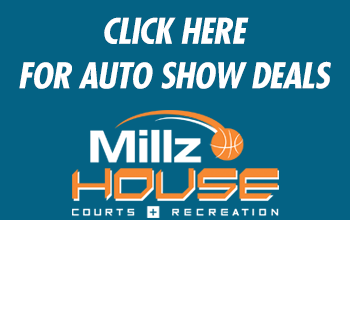 Millz House is your Minnesota headquarters for recreational fun! We promote healthy families by selling products that encourage exercise, family cohesion and healthy lifestyles. By selling only the most advanced products on the market, we pride ourselves in bringing the best quality to your home. 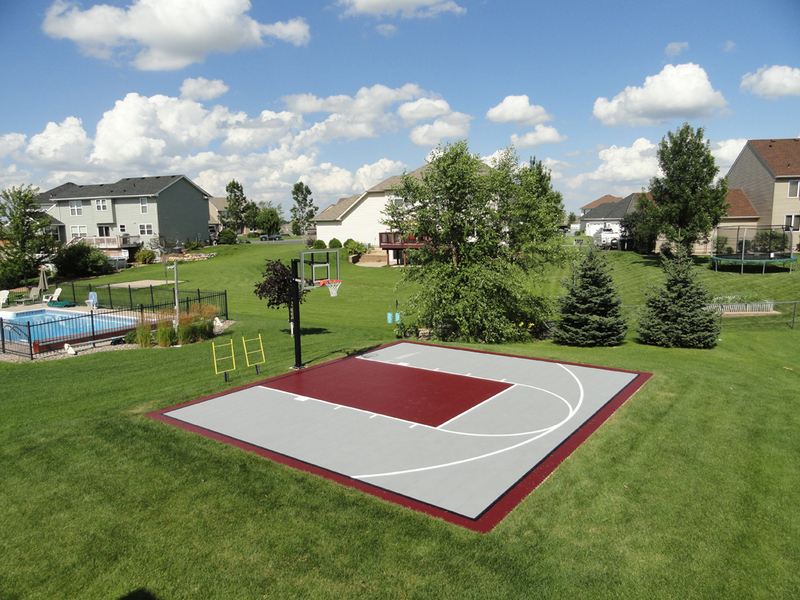 We are a full service indoor and outdoor residential and commercial court builder who works directly with our clients to design and build the perfect court. 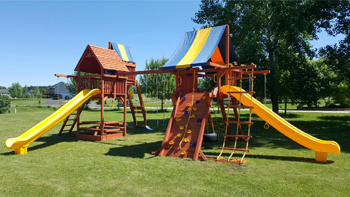 Our premium pacific cedar swing sets are carefully constructed with 100% solid timbers and superior quality hardware and accessories that will give years and years of enjoyment. 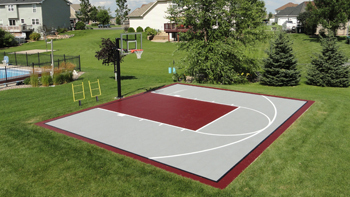 We also sell basketball hoops, trampolines and more! 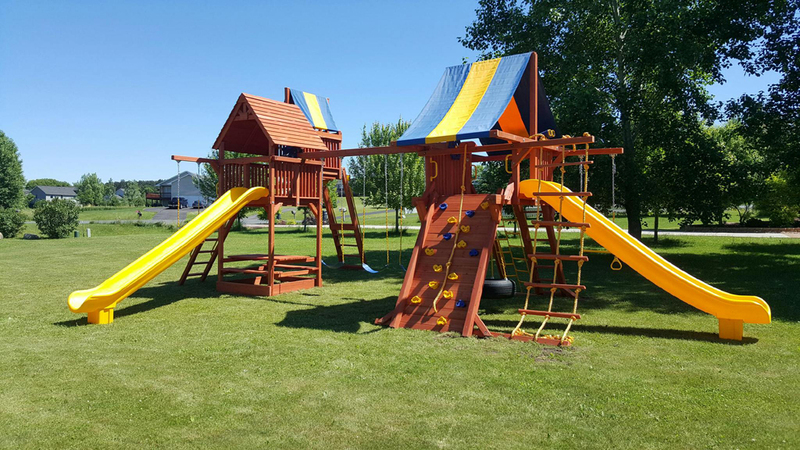 Our huge showroom in Apple Valley allows our customers to play on our products before they make that special family purchase. We believe in eliminating the guess work and helping our customers make the best choice the first time. Come to our showroom, play on our products and make the perfect selection for your family. Try it, Love it, Buy it at Millz House!! Check out the equipment at the Neighborhood and then take advantage of these amazing Auto Show Specials! !